I first met George in 1949 when he drove by our house in his blue convertible and waved in my direction. 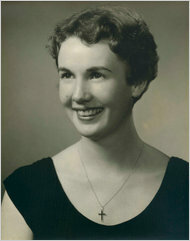 I was sixteen years old at the time and had just moved to Bay Village, Ohio. Over the next three and a half years George and I spent our summers together and corresponded when he was away at Williams College. 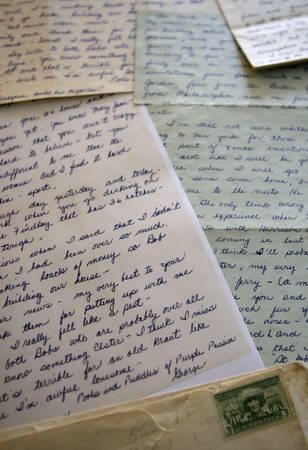 I saved the letters that he sent to me over sixty years ago so that I could reminisce from time to time. Recently, I was asked to share my letters in a book that would describe George during his formative years. I was also asked to donate my letters to the Baseball Hall of Fame to be put on display. Unfortunately, the NY Yankees insisted that my letters could not be used for the book or be placed in the Hall of Fame. The Yankees felt that my letters would cause “Untold embarrassment and damages to the Steinbrenner family and the Steinbrenner’s business interests.” While I find that hard to believe, I respect their decision. Richard Sandomir of The NY Times wrote an insightful article about the Yankee’s response, you can read the full story here, Yankees Want Steinbrenner Letters Kept Private. While much has been written about George in his later life as the owner of the New York Yankees, little has been told about his formative years. I would like to share with people a unique perspective of these wonderful times. I hope that you enjoy my stories and stop back often.